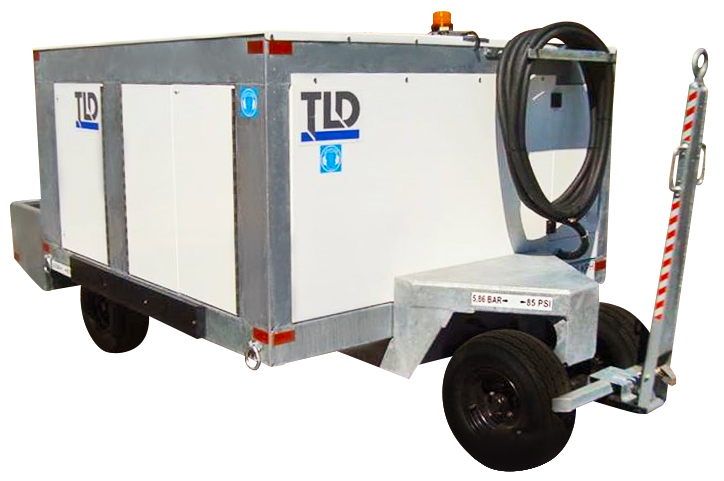 TLD ACE-302-EMP Series Conditioned Air Units comprise a line of electric air conditioning and heating units designed to service narrow body regional and commuter aircraft worldwide. This unit features a 24 ton cooling capacity, a Danfoss SY380A4CBI Scroll compressor, and employs environmentally safe R-134a refrigerant. While the standard unit provides air conditioning service only, the unit can also be built with an option to be used as a heater (Product ID: ACE-302-H-EMP [additional costs apply]). Built with low maintenance, commercially available parts, the ACE-302-EMP warrants a long life span and consistently dependable operation. Note: Illustration shown. Photos of unit coming soon. Utility Electric Units: Available for operation with 3-phase power in 50 or 60 Hz and line voltage from 380 to 480 volts.